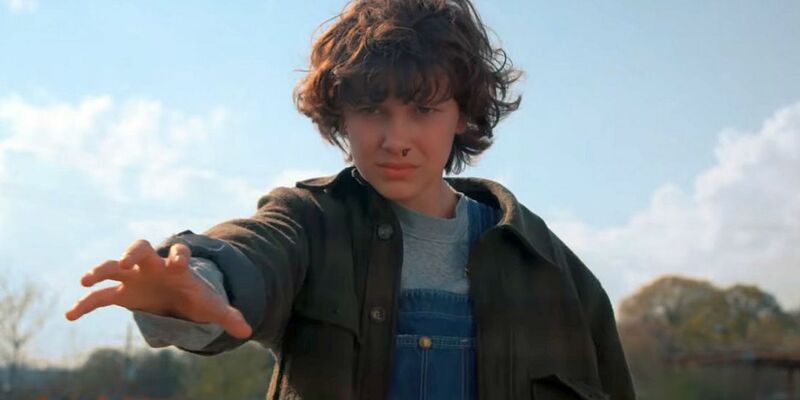 Season 3 of Stranger Things won’t stream on Netflix until the summer of 2019, but despite a certain trailer suggesting the contrary, executive producer Shawn Levy assures fans the delayed installment will be darker and more action packed than ever before. The streaming service recently delivered a tongue-in-cheek, retro teaser for the series that let Hawkins’ new Starcourt Mall take center stage (with the help of Joe Keery’s Steve, of course). And while the video is good for a laugh or two, Levy wants to be clear the tone of the ad is in no way indicative of what’s to come. Over the course of two seasons, Stranger Things has demonstrated a willingness to mix some pretty dark notes into its ‘80s nostalgia-fueled narrative. The story of a psychic pre-teen and her D&D-loving friends has also included several gruesome deaths, a young boy’s abduction, a handful of violent altercations, and David Harbour dancing to Jim Croce. 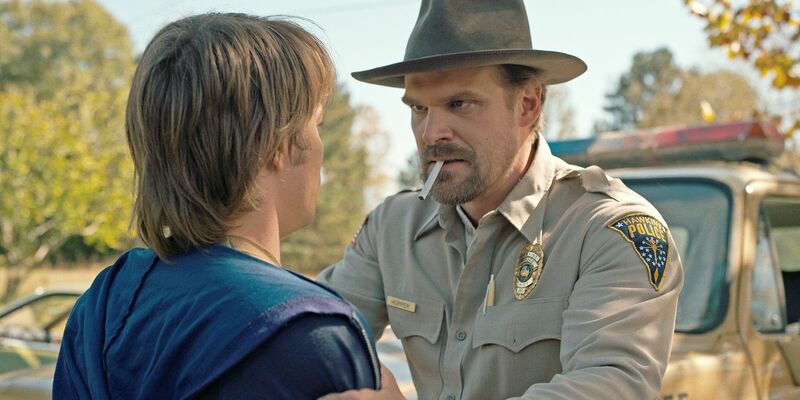 Needless to say, the Duffer brothers, Levy, and the show’s cast and crew are more than willing to take full advantage of Netflix’s relaxed content restrictions in order to make sure this horror story contains plenty of horror. Levy’s comments are in keeping with what Netflix programming executive Cindy Holland said during the service’s recent presentation at this summer’s TCA tour. Though she confirmed the series would be taking 2018 off, she also said season 3, “…will be worth the wait.” The wait will also hopefully give the Duffers more time to develop a compelling continuation for the story. Whether or not the year off means the characters will also have experienced a year without demogorgons and the Upside Down remains to be seen, but that could have interesting consequences for the overarching storyline. Stranger Things season 3 is expected to stream in the summer of 2019 on Netflix.